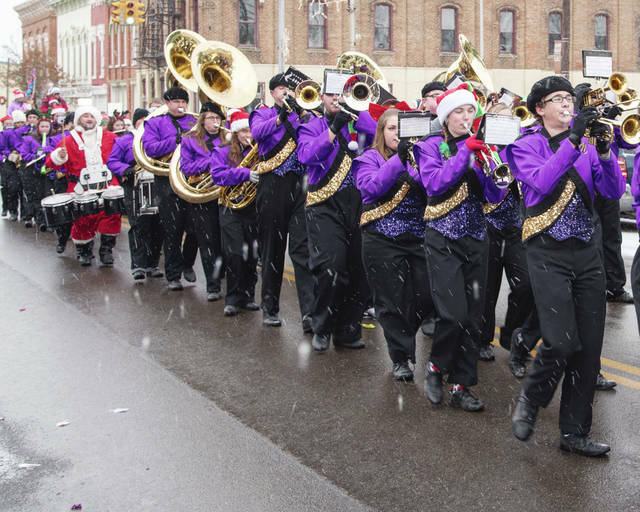 The Mechanicsburg High School marching band braved well-timed wet snowflakes to help bring the Christmas spirit to the village during last year’s festivities. The tradition of horse-drawn wagon rides through the downtown is back as well, running from 10:30 a.m. until the 2 p.m. parade. Pictured is a wagon of merrymakers during a past year’s Christmas in the Village. A craft and vendor fair and basket raffle will return at both the firehouse and Masonic Temple, with more vendors than ever. Pictured above is a selection of craft items offered during a previous year’s Christmas in the Village. 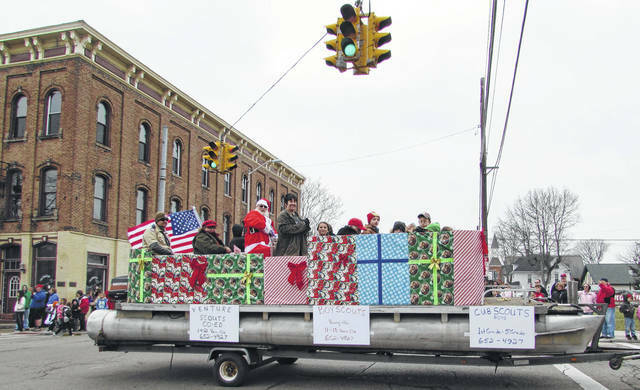 Community groups like the Scouts are known to create vibrant floats for each year’s Christmas in the Village parade, as shown in this photo from a past year’s event. MECHANICSBURG – Our Towne Mechanicsburg is excited to announce details for this year’s Christmas in the Village, held as always on the second Saturday in December – Dec. 8, 2018, this year. The 2018 festival returns all of your traditional favorite events, with activities throughout the day beginning at 10 a.m. in downtown Mechanicsburg. Many businesses in town will be offering specials and giveaways, while local churches host craft and baking activities. This includes a make-and-take craft activity at the library from 10 a.m. to noon and a bake sale at the Methodist Church. A flier with all activities and times will be available around town leading up to and on December 8. The fantastic craft and vendor fair and basket raffle will return at both the firehouse and Masonic Temple, with more vendors than ever! 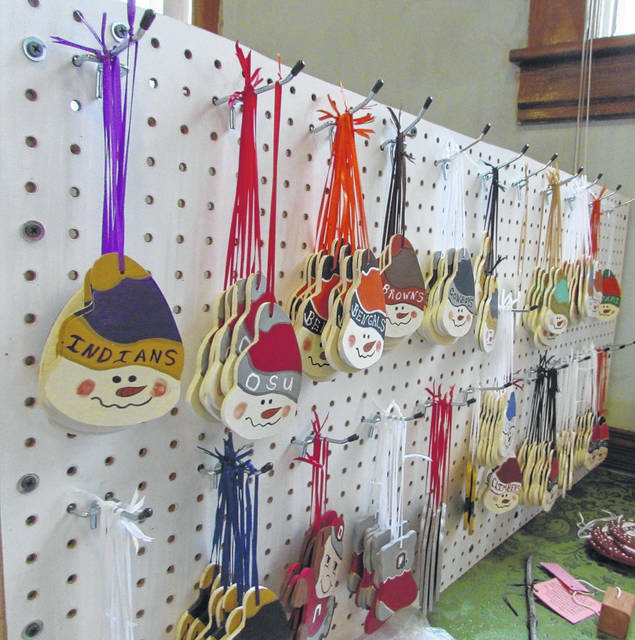 For craft vendors, volunteer opportunities or other questions, please call Tina at 614-584-2467 or Scott at 937-631-0228. 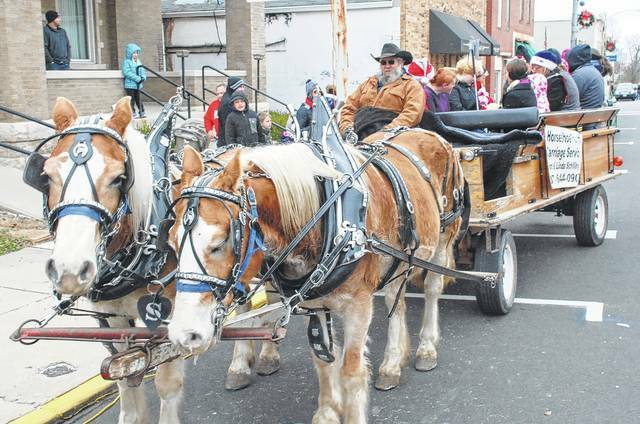 The tradition of horse-drawn wagon rides through the downtown is back as well, running from 10:30 a.m. until the 2 p.m. parade. This year’s parade will kick off at 2 p.m., and we are actively searching for additional parade participants. If you are interested in participating, or have parade questions, contact Heather at 330-730-0832 or wspoon79@hotmail.com. We have once again found a way to get Santa to join our parade during this busy time of year, and he will head over to the 1858 Meeting House soon after to meet anyone who has been good and has a list. Bring your cameras to get that special photo. Our Towne Mechanicsburg would like to thank Dow Blanton and family for donating the Christmas tree this year, and Class Landscaping for their work cutting, transporting and installing the tree downtown. There will be plenty of food options, holiday music, wagon rides, cookies and fun through the town and all day long, so dress warm and come celebrate the holidays in Mechanicsburg on December 8! Submitted by Our Towne Mechanicsburg.